We’re proud to offer our services to homeowners in all areas of Las Vegas including Downtown, Henderson, North Las Vegas, Summerlin, Spring Valley, Anthem, Sunrise and beyond. How long have you been living in your home? A month? A year or more? You might be cleaning every possible corner of your home regularly but have you considered getting your air duct system cleaned? If not, it’s time to schedule an appointment as your air conditioning unit might be harboring some very nasty bacterias that could be affecting your health and that of your family member’s. If you and your family are experiencing regular headaches, stuffy noses, coughs and sneezes, or itchy or watery eyes, it can likely be attributed to the poor quality of the air in your home. And that poor-quality air is coming from your congested air ducts. Our HVAC cleaning equipment will sweep all that debris away to leave your air ducts bacteria-free – and give you back the clean and fresh air that you and your family deserve. As outlined in this article, Doctors have said that the best defense against becoming sick from your air conditioning unit is getting your HVAC guy to maintained and routinely service your AC unit(s). And, for that, we’ve got you covered! Say Hello To Clean Air! Why should you choose our state of the art, truck mounted, industrial vacuum system? Your home is the place where you spend time with the people you care about the most. Home is supposed to be our sanctuary, our safe place, unfortunately, the EPA estimates that indoor air is anywhere from 5 to 10 times more polluted than outdoor air. We empathize with our customers and understand that nobody wants to feel uneasy in their own house, which is why we only use the most premium, medical grade air duct cleaning system. Our truck mounted industrial vent cleaning method is the same one we use to clean medical facilities, commercial warehouses, and high allergen industrial facilities. We believe that breathing clean air is of the utmost importance, and we don’t leave anything to chance. 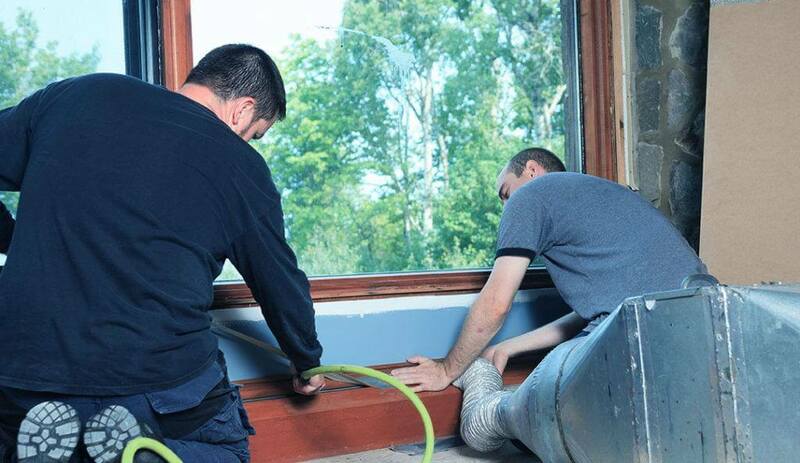 Could your home HVAC system benefit from a thorough clean out? Our HVAC works hard for us all year round here in Vegas, but we often forget that just like any other piece of household equipment, it needs regular servicing and cleaning. At Spotless Ducts, your local Las Vegas air duct cleaning company, we offer professional home vent cleaning that’s not only guaranteed to get rid of any dust, dirt, debris and bacteria hiding in your air ducts, but that will restore the freshness to the air in your home. Spotless Ducts has built its reputation on providing reliable and affordable home air duct cleaning services throughout Las Vegas. Our equipment is NADCA certified, and we utilize the very latest equipment and tools to get into every nook and cranny. Once we’ve finished cleaning out your ducts, you will be stunned at how fresh and how clean the air in your home feels. We aim to be the most affordable home vent cleaning service in town, and offer a range of competitively priced maintenance options to fit in with your budget. Our name says it all – Spotless Ducts – because that’s what we aim for each and every one of our customers. Our technicians will give you a full checklist of all the areas we’ve cleaned, plus we’ll explain what we’re doing and how we’re doing it. And, more than that, our service comes with a smile and a guarantee that we’ll always do a professional, prompt, and efficient job.